Fans of the paranormal and the extraordinary will want to read books by Bainbridge Island author Michael Brein and co-author Rosemary Ellen Gulley. 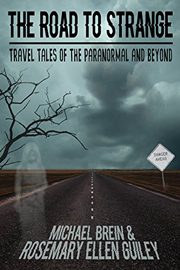 Their book The Road to Strange: Travel Tales of the Paranormal and Beyond (2017) is a collection of true stories of travelers around the world who are suddenly faced with ghosts, paranormal phenomenons, unusual synchronicities, time slips, magic, past-life connections, premonitions, mystical experiences, mysterious figures, and more. Each story is accompanied by expert and insightful commentary. 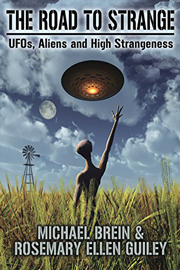 Brein and Gulley's follow-up book The Road to Strange: UFOs, Aliens and High Strangeness (2018) explores specifically the idea of an alien presence on Earth and includes eyewitness accounts that describe in detail personal encounters with alien beings. In addition to his interest in the paranormal, Brein has had a long career as a college professor in psychology and business, and he has published many travel books and guides to cities in the U.S. and Europe.